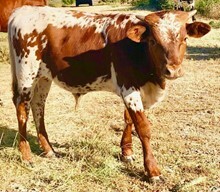 Steer for sale, purebred but not registered. 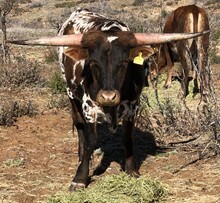 Wildly colored, big horns, friendly, very handsome! Sire: registered CER RJ Admiral Rattler dam: purebred, not registered, CER Sweetheart. Eclipse born 5/3/2017. $1500.